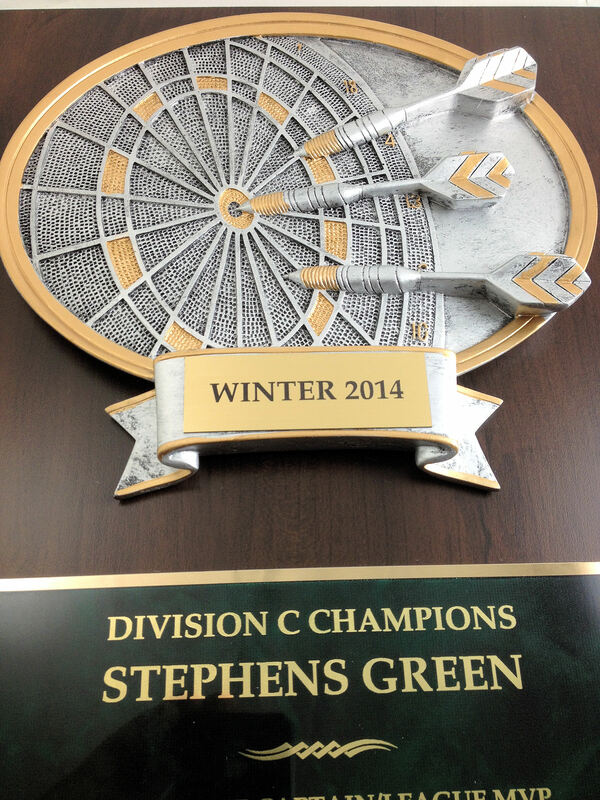 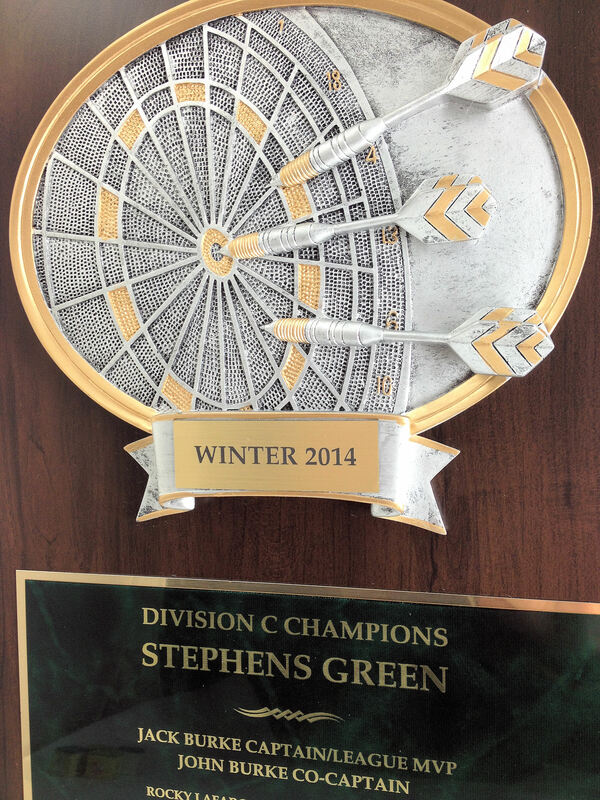 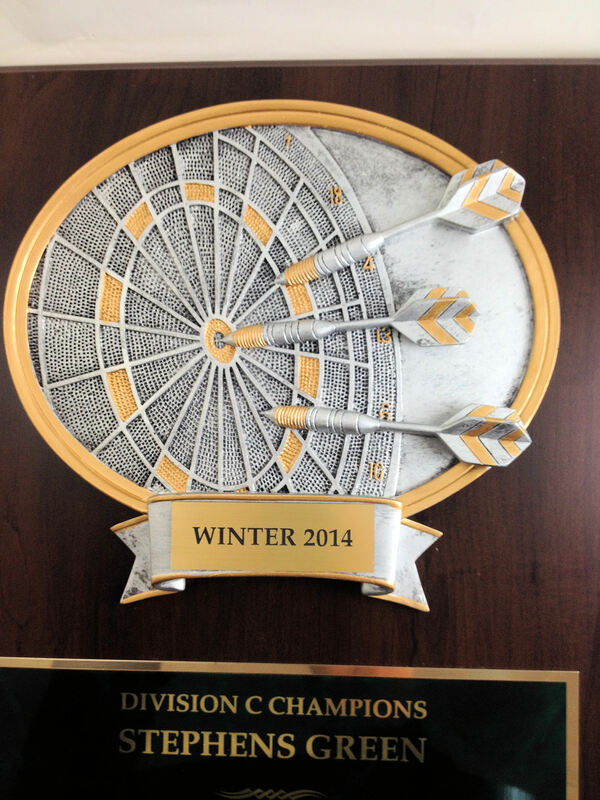 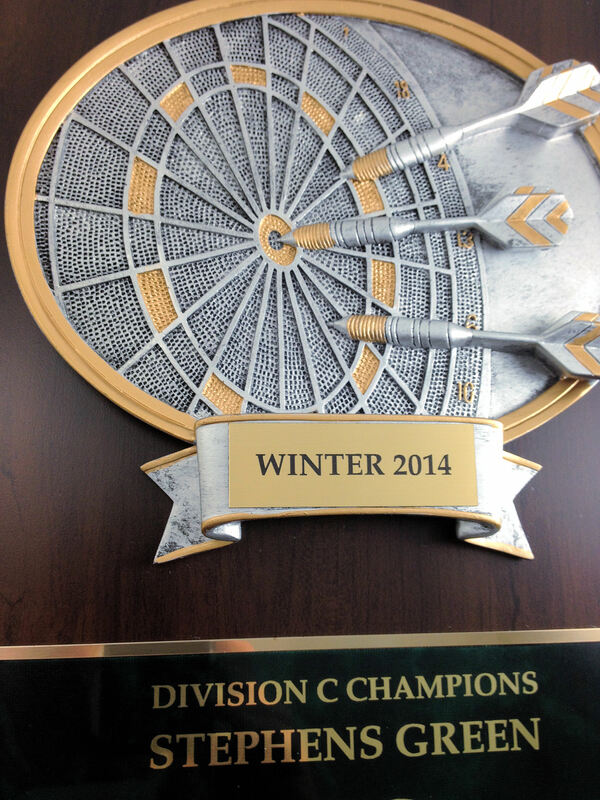 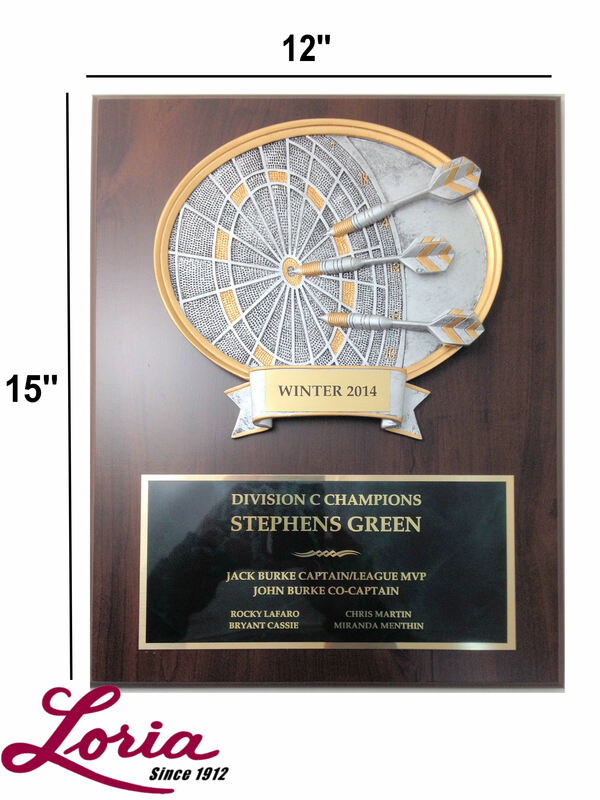 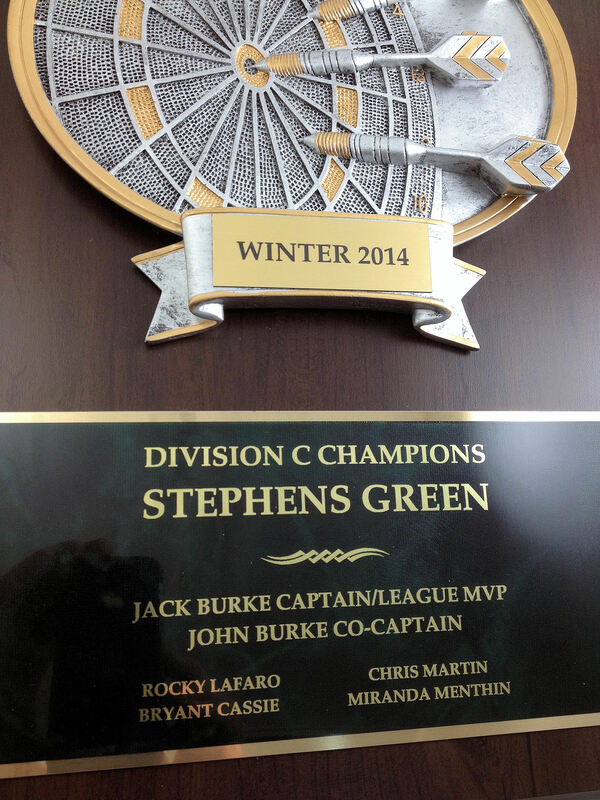 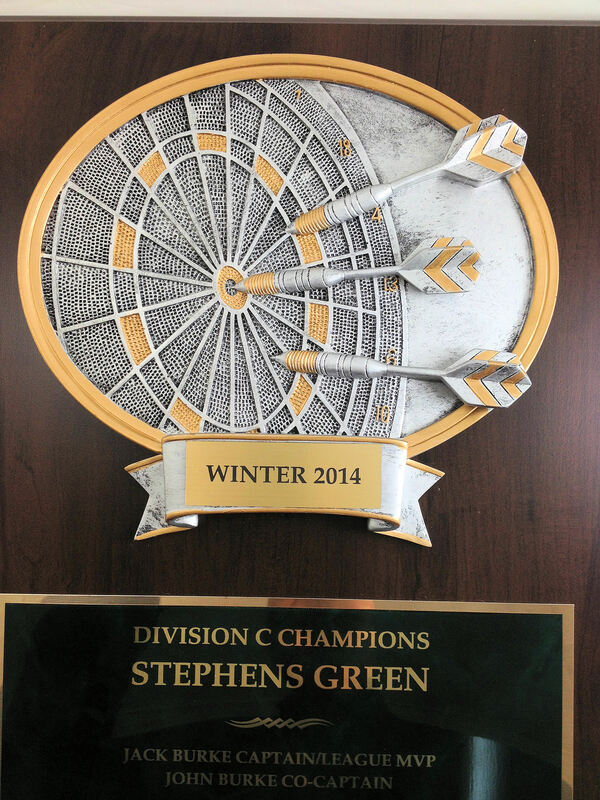 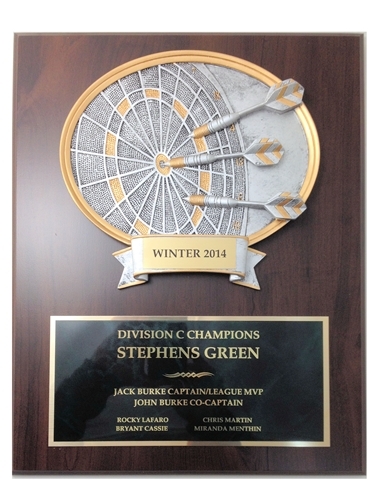 Dart League Champion or High Dart Score "
Highly detailed cast resin dart board oval sculpture. 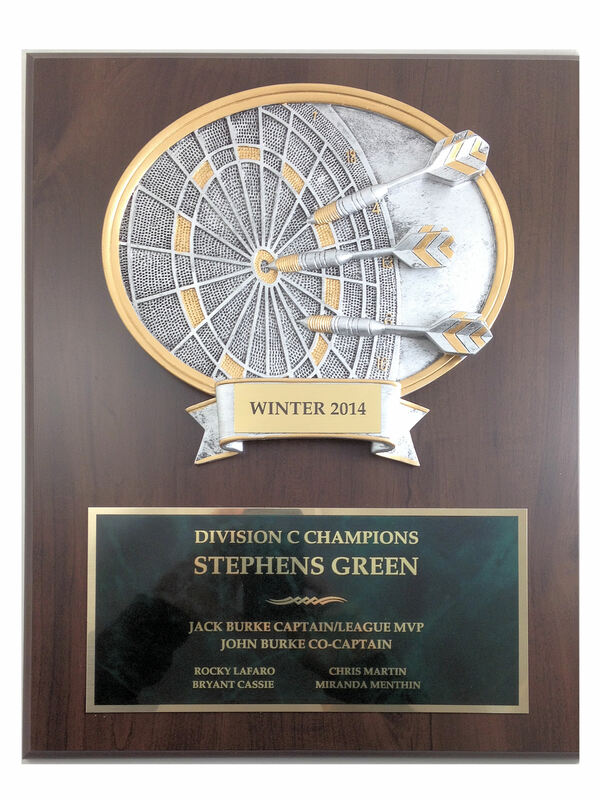 Wood grain finish Award Plaque - 12" x 15" . 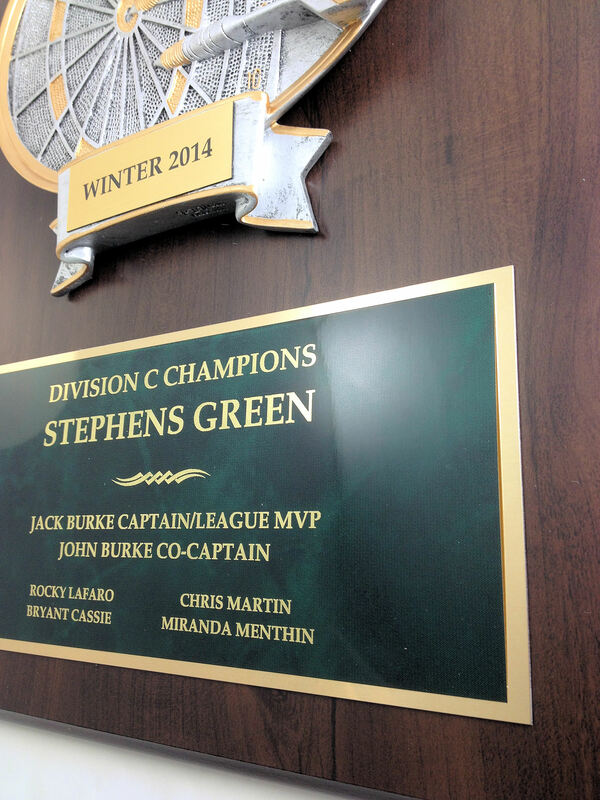 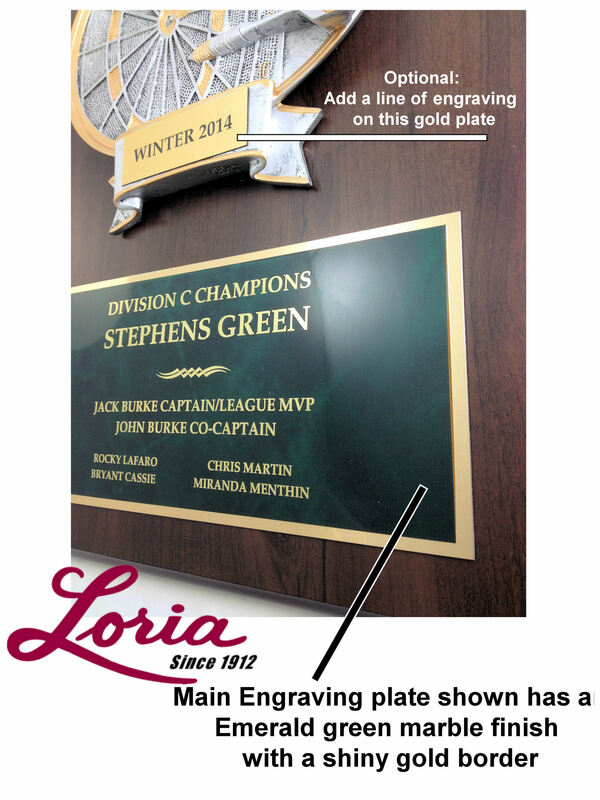 4'' x 9'' engraving plate with gold border. 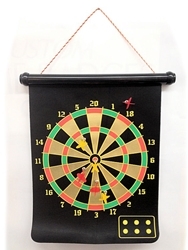 Please allow 3 – 5 days for production plus shipping time.